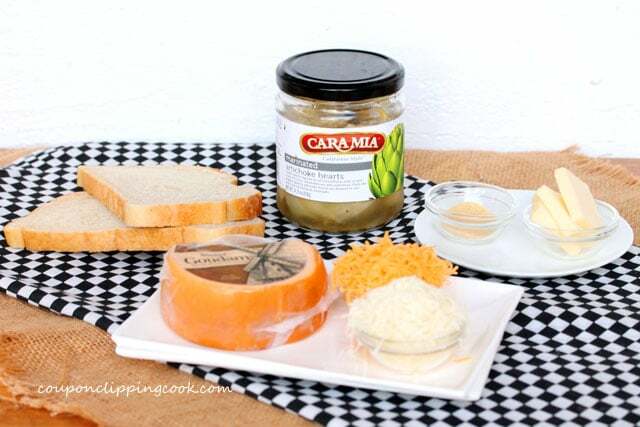 Add this to your must-try list. Ok so maybe I put a little bit too much cheese in this grilled cheese sandwich because it’s spilling over the sides. 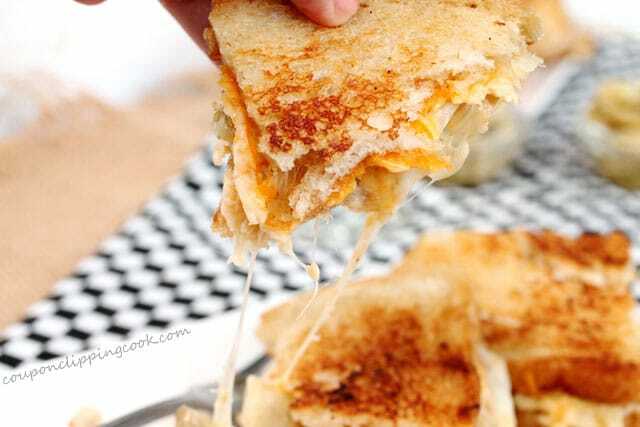 Or, can there ever be too much cheese in a grilled cheese sandwich? Maybe not. This sandwich is meaty without having meat in it because it’s packed full of marinated artichokes. I’ll be honest, this tasty morsel of a sandwich does have it’s fair share of cheese in it too. Actually, it has 3 kinds of cheese in it. I mean, what’s a grilled cheese sandwich without a lot of cheese in it anyway right? 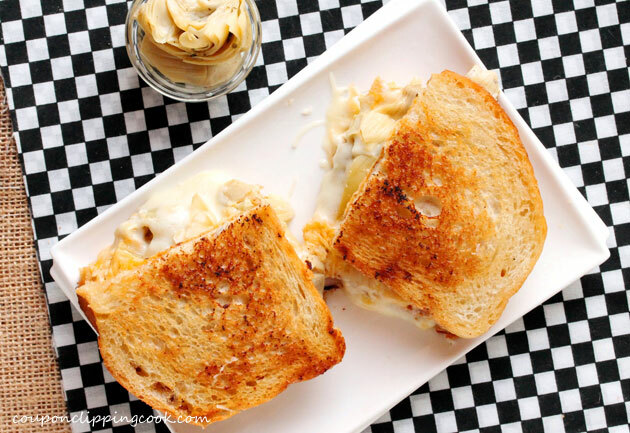 My fave part about this grilled cheese, besides the taste of butter, the wonderful crunchiness of the sourdough bread, the hint of garlic, and all of the melted cheese, is how the smoky taste of the Gouda cheese meets up with the flavor of the marinated artichokes. I think I covered it all in that last sentence. Big bites are definitely required when eating this sandwich. Which is a good thing. 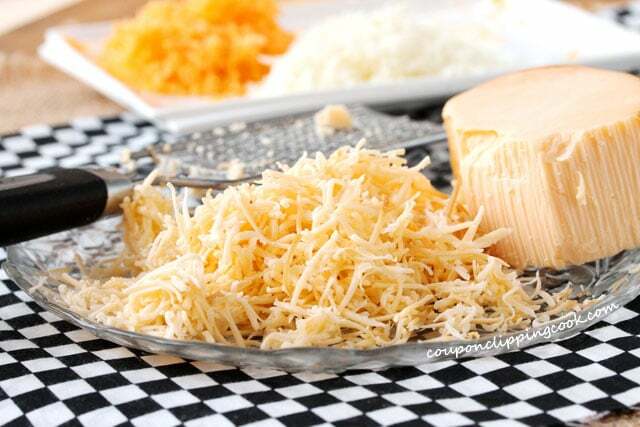 TIP – A cheese shredder that has smaller holes works good so the cheese melts faster. Heat a medium size skillet on low heat and add half of the butter. When the butter melts, add the bread. Let the bread toast until the bottom side is a golden color. 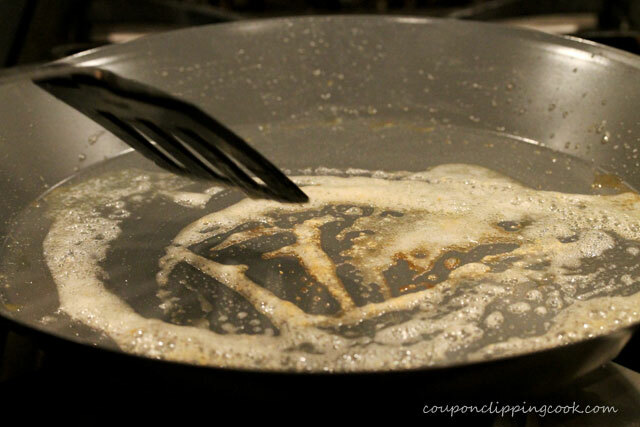 Then remove it from the pan on to a plate for just a moment. Add the other half of the butter and the granulated garlic. …and put the bread back in the pan with the untoasted side face down. 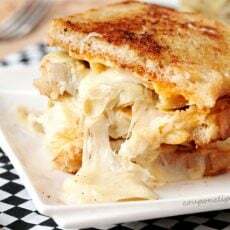 …and on one slice of bread (per sandwich) top with the artichoke hearts. 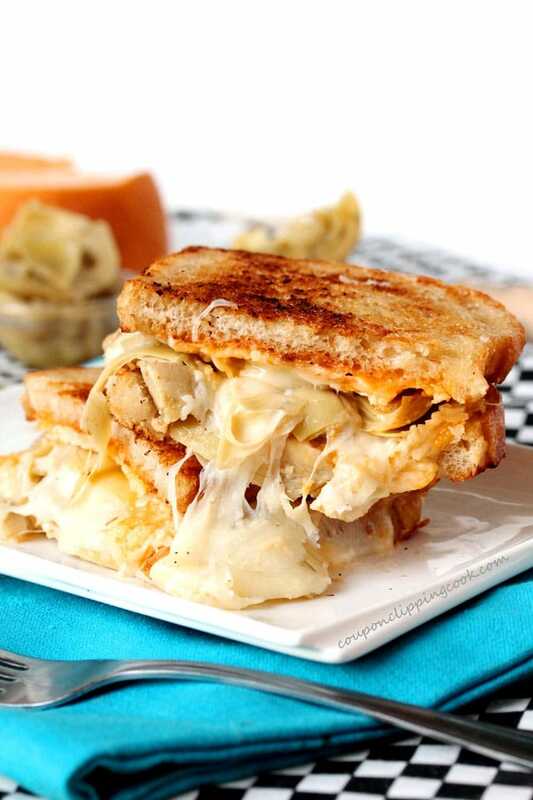 Carefully turn over the non-artichoke slice of bread on top of the artichokes to make a sandwich. Let the sandwich continue to toast on low heat until the cheese melts. Be careful to watch that the bottom sides of the bread don’t get too brown. Turn the heat down if needed. 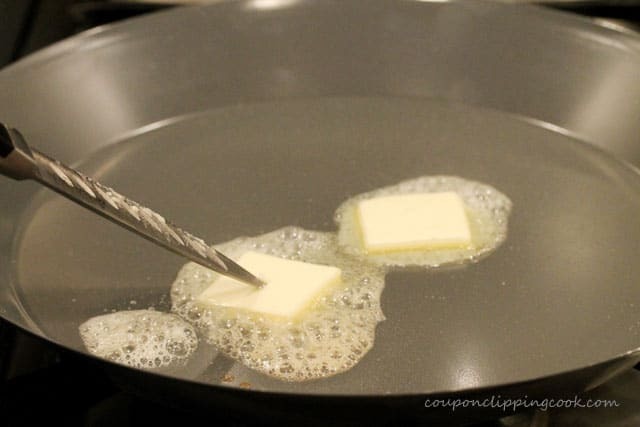 Heat a large skillet on low heat and add half of the butter. 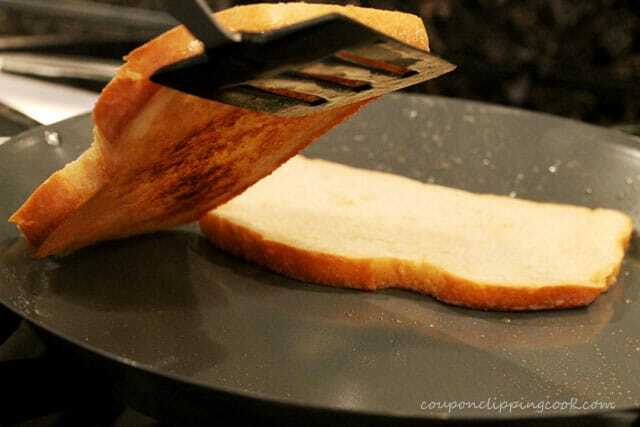 Lay the slices of bread in the pan and let toast until the bottom sides are a golden color. 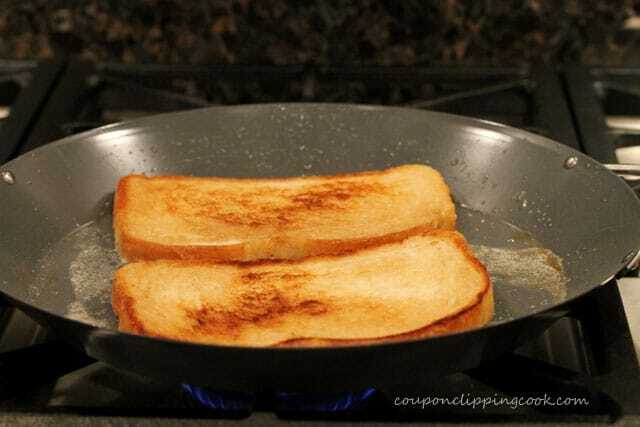 Then remove the toast from the pan on to a plate for just a moment. Add the remaining butter in the pan. 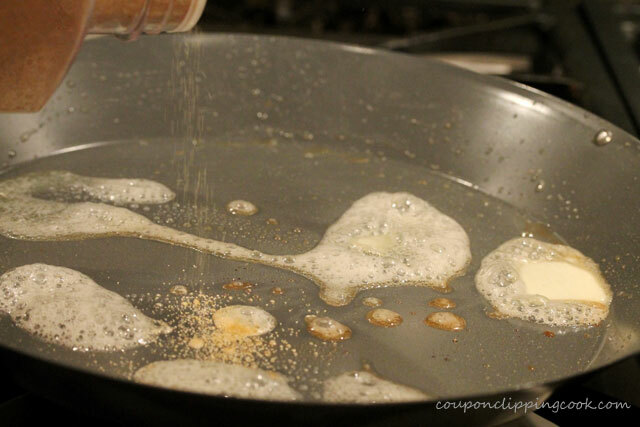 Sprinkle the garlic powder on the butter and stir together. 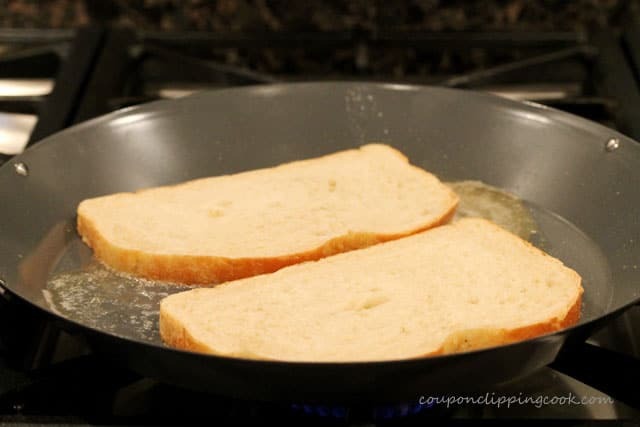 Add the slices of bread back in the pan with the untoasted sides face down. 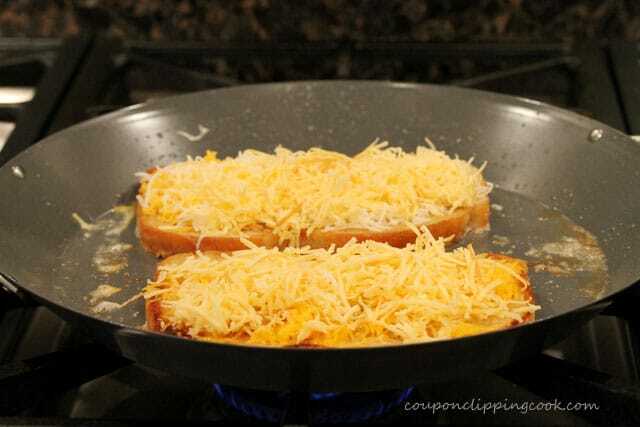 Top each piece of bread with each type of cheese. 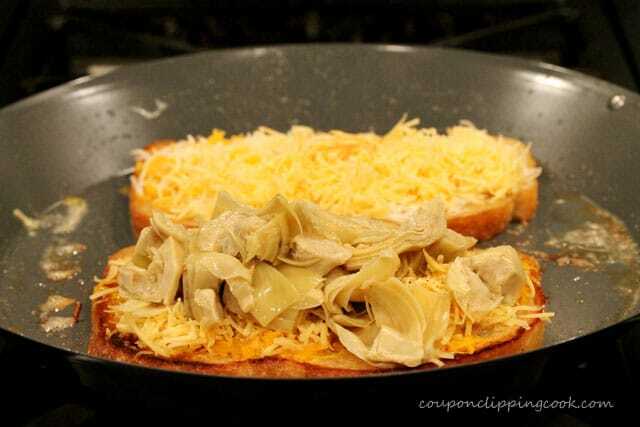 On 2 slices of the bread, top with artichoke hearts. 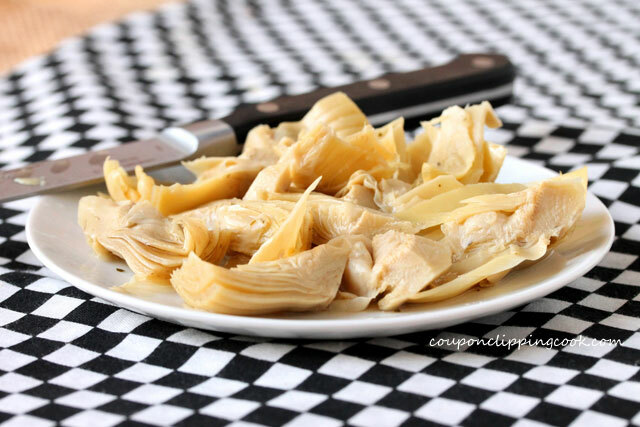 Carefully turn over the non-artichoke slices of bread on top of the slices of bread with the artichokes on it to make a sandwich. Continue to cook until the cheese melts. Be careful that the bread doesn't get too brown on the bottom. Turn the heat down if needed. Serve right away. 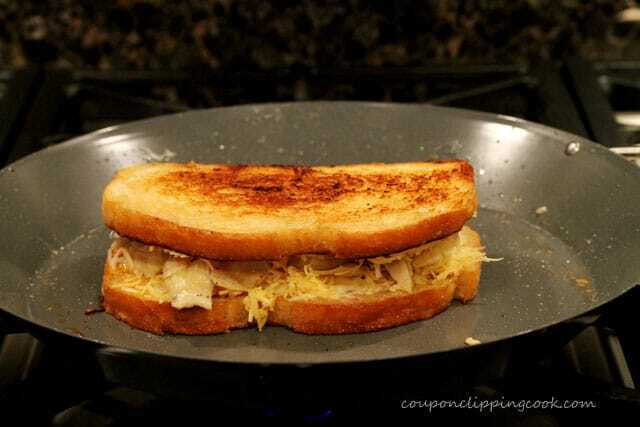 When shredding the cheese for this sandwich, a cheese shredder that has smaller holes works good so the cheese melts faster.